While I’m on a roll with the product feature posts, I figured now would be a good time to feature my engagement photo sign in books. These are a fun way to step away from the traditional sign in book and let your guests enjoy photos of you from your engagement session while leaving their well wishes. Guests and clients both love the engagement photo sign in book. Much like the signature wedding albums, featured in my previous post, there are several cover options. You can either have a photo cover or a leather cover. The same two lines of text option is also available. Again, many couples choose to put their names on the first line and the date of the wedding on the second line. 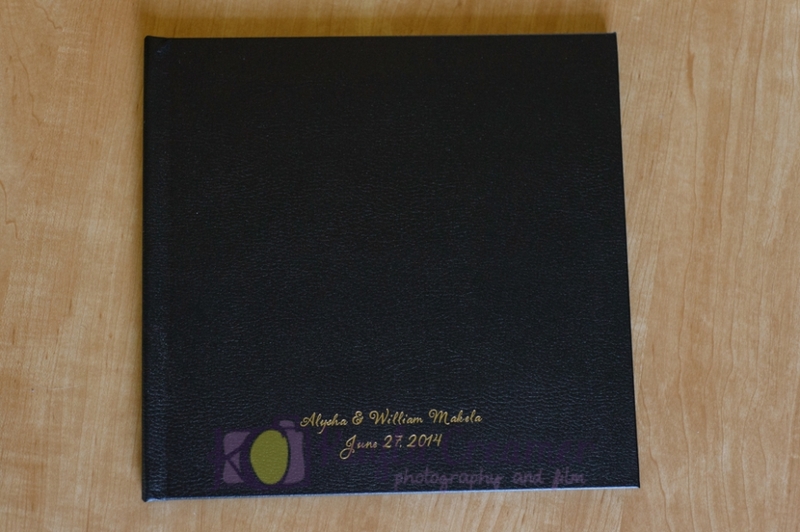 Unlike the signature wedding albums, the sign in books have thin pages, which make it easier for guests to write their messages throughout the album. While these books have thin pages, they are still designed to lay flat, so photos can spread across two pages or be constrained to single pages. The standard sign in book comes with 10 pages (20 sides), however more can be added if you would like to feature more photos. 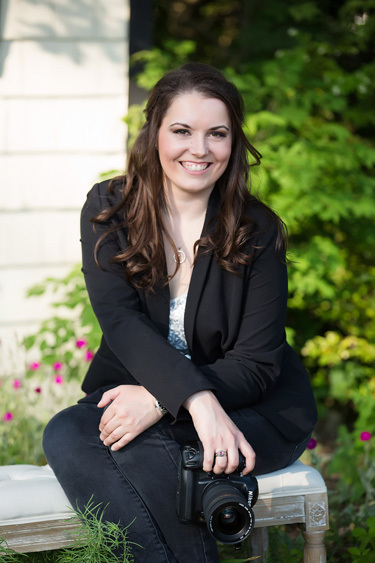 Currently, several of my packages include the engagement session and sign in book, but if you decide to book me and either build your own package or purchase a package that does not include an engagement session, you can add one at an additional cost. Below are some photos of Alysha and Will’s sign in book with photos from their Boston engagement session. 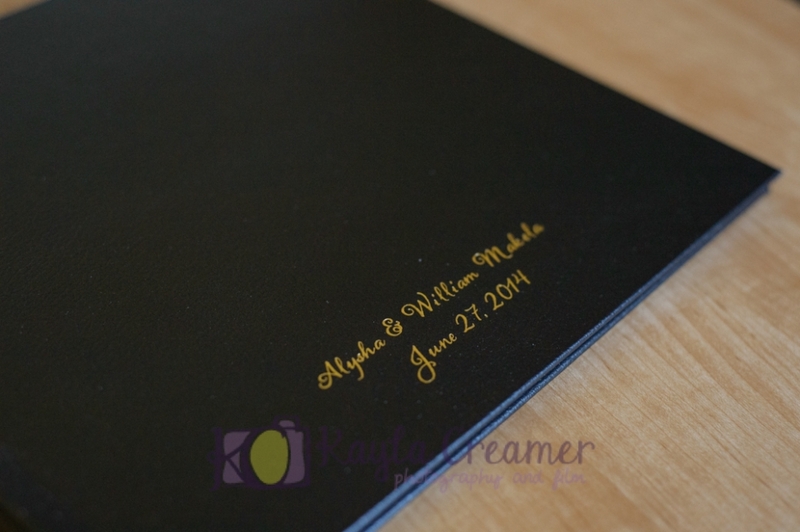 Alysha and Will chose to go with a black leather cover and gold foil text with their names and wedding date on the front cover of the book. Foil embossing is available in silver or gold for the sign in books. Pages can be designed with some blank space for signatures or we can design them with photos with extra negative space for signatures. The albums are design to lay flat, making it easier for guests to sign and also making double page spreads look seamless. The pages lay flat when the book is open. Each book is delivered in a boutique box for storage.